Nine-year-old Venus Macquire is ready to trade smiling for the camera for nailing a soccer ball into the net. Her mother isn't thrilled. She's been grooming Venus for supermodel status since her daughter was three. Everyone at school knows about Venus's famous commercials, and some of the girls on the soccer squad don't think she's cut out for athletic competition. Thing is, Venus is a soccer natural—and she almost has her team convinced. 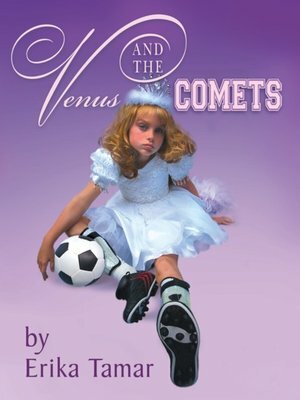 When she's scheduled to be the Cinderella doll at a toy store grand opening, the would-be soccer star has to show everyone, even herself, that her real goal is not to be special. It's to be the real Venus—a regular kid, with a kick!